Fiber and disc laser metal cutting. Optical Parametric Oscillators (OPOs) are an area of research where gold coated mirrors can be used for multiple wavelength reflection. Infra red counter measures (IRCM). sensing of environmental gases and pollutants in the atmosphere. 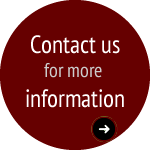 Industrial process control and medical diagnostics with IR lamps. Multi-pass systems such as Herriot Cells, White Cells and FTIR spectroscopy. 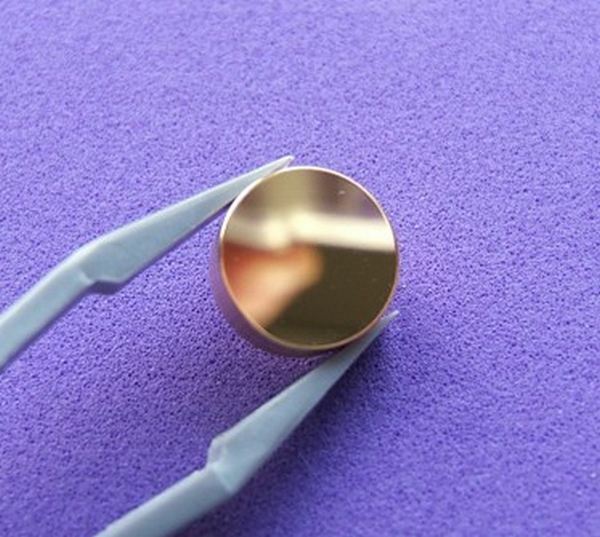 Our copper mirrors with reflective gold coating offer a broad consistent reflectivity in the infrared spectrum, perfect for fiber laser mirrors. 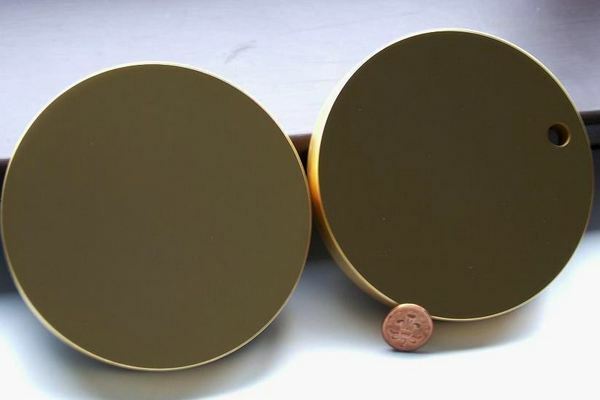 Gold coated copper mirrors are also ideal for reflecting broad band infrared radiation such as in IR spectroscopy, or where multi-wavelength or tunable laser sources are used. Gold coated mirrors or molybdenum mirrors, which combine high reflectivity and chemical inertness, are perfect for QCL applications. Metal mirrors for multi pass gas cells have been a speciality of LBP Optics for more than 20 years. Our protected silver coated mirrors based on aluminium or copper substrates can give good infrared reflectivity (99%) and visible reflectivity (99%). The visible reflectivity of a silver coated mirror is useful for alignment and adjustment with a visible laser diode. The chemical inertness of our gold plated mirrors finds uses in environmental monitoring of gases - such as in chimneys, flues and pipes - and of liquids where other mirror coatings would be destroyed. Our uncoated molybdenum mirrors are very durable, inert and can withstand high temperatures. Solid uncoated molybdenum is the reflective surface of choice for the harshest of environments. We regularly repolish and recoat our customer’s used mirrors to reduce replacement costs in systems where chemical attack is expected and frequent replacement of optics is needed. 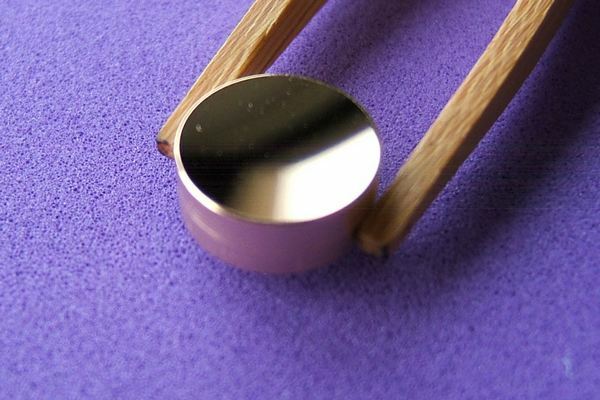 In some applications we supply uncoated polished tungsten mirrors to solve optical problems, especially at high temperatures. We also manufacture polished stainless steel mirrors for pharmaceutical, foodstuff, brewing and nuclear industries where it is one of the few approved materials for use. Glass mirrors can suffer laser damage with high power fiber lasers and coatings optimised for 1064nm and Nd:YAG lasers may not function at 1070nm, 1073nm and other wavelengths. Dust on the mirror face will cause a glass mirror to crack from the localised absorbed heat, whereas our copper mirror substrates sink away the heat from localised hot spots caused by absorbing debris. Traditionally metal mirrors have not been considered for use in the Near IR region as mirror surfaces prepared by diamond machining can exhibit extensive scatter and diffraction. This is not the case for super-smooth chemically polished mirrors that LBP have pioneered. We can also “post polish” diamond machined metal mirrors to reduce, or eliminate, the various spatial frequencies found on diamond machined mirror surfaces that cause scatter.